William Pitt the Elder, first Earl of Chatham, was an important war leader who found it harder to govern in peace time. Born in November 1708, Pitt’s grandfather and father were both MPs and his grandfather, Thomas, had been governor of Madras. Pitt was a pupil at Eton from 1719 until 1726. He entered Trinity College, Oxford in 1727 but rapidly moved on to study in Utrecht. His elder brother inherited the family estates and William had to seek other employment. His Etonian friend, George Lyttelton, introduced him to Richard Temple, Viscount Cobham in 1731 and Pitt gained a commission in Temple’s regiment. William Pitt was elected to the family pocket borough of Old Sarum in 1735. He quickly sided with the opposition to Walpole, joining Cobham’s nephews Richard Grenville and Lyttelton as a member of the group known as ‘Cobham’s cubs’. Opposition to the ministry in the eighteenth century was frequently associated with the heir to the throne and Pitt and the cubs moved closer to Frederick, Prince of Wales. Pitt was very critical of Walpole’s handling of relations with Spain in the late 1730s and spoke strongly in the debates in early 1742 that ultimately led to Walpole’s resignation. The political situation following Walpole’s departure was fluid. Pitt remained firmly in opposition and spoke out strongly against a policy of European intervention which he associated with the prioritisation of Hanoverian over British interests. Unnecessary expenditure on foreign troops, along with concerns about the size of the national debt, the expansion of the army and the growing power of the executive were central to a ‘patriot’ position from the 1730s onwards. Henry Pelham and the Duke of Newcastle found Pitt’s comments tactically useful in seeking to moderate the interventionist instincts of George II and his Secretary of State, John, Lord Carteret but Pitt’s outspokenness meant that George was initially unwilling to admit him to office. Pitt’s pressure on Pelham and Newcastle finally yielded dividends in 1746 when he was made Vice-Treasurer of Ireland and then Paymaster of the Forces. Importantly, neither office required personal contact with the King. Pitt was a dedicated Paymaster. He worked hard and refused to take advantage of the opportunities to enrich himself. His parliamentary speeches from this period suggest that he had become more sympathetic to a policy of continental involvement, no doubt helped by his increasing attachment to Newcastle. It was through Newcastle’s influence that he was elected as MP for Seaford in 1747 and then Aldborough in 1754. Although widely acknowledged as a formidable Commons performer, Pitt lacked a large personal following and George II still treated him with suspicion. He was not promoted to a position of influence when Newcastle formed an administration in 1754. His attempts to form an alliance with Henry Fox, the War Secretary, faltered and Pitt began to drift towards theopposition based in Leicester House, where the future George III, Frederick’s son, held court. Pitt’s connections with the cubs were reinforced when he married Lady Hester Grenville, sister of Richard Grenville, Earl Temple, and George Grenville, in November 1754. 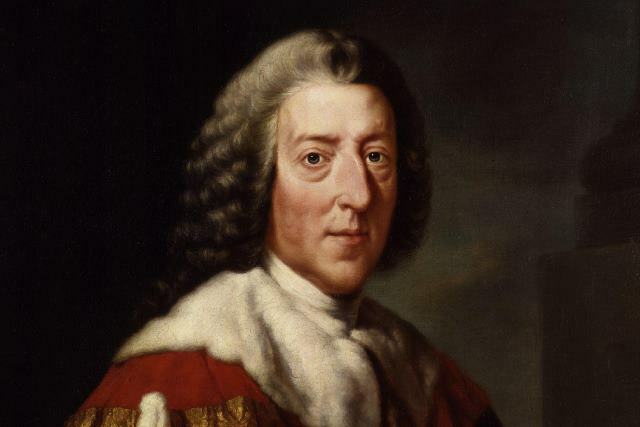 The marriage yielded five children, including William Pitt the Younger. The worsening international situation created new opportunities. Pitt was concerned that the tensions between France and Britain in the American colonies might provoke a general European conflict. Reviving patriot arguments in the Commons led to him being dismissed from office. Newcastle’s administration collapsed in 1756. Pitt refused to serve with both Newcastle and Fox and eventually achieved the position of influence he craved as Secretary of State in Devonshire’s short-lived administration. Yet, Pitt’s position was still difficult. He lacked a firm majority in the Commons and his enemies were circling. The Duke of Cumberland managed to force his father, the King, to remove Temple and Pitt in April 1757 and an ‘interministerium’ followed before Newcastle returned as First Lord and Pitt as Secretary of State in June 1757. The Newcastle-Pitt administration steered Britain successfully through the Seven Years War (1756-63). 1759 was to be a year of military success in Europe, Canada and India and there is some truth to Pitt’s subsequent claim that ‘American had been conquered in Germany’. Like many before him, Pitt discovered the wisdom in office of a foreign policy that protected Britain’s colonial interests with a strong navy but also used Britain’s financial resources to intervene in Europe. George III’s accession changed things. Pitt had drifted away from the new King and his favourite minister, Lord Bute, since the mid-1750s. They were now keen to pursue a policy of peace. Pitt’s appeals for a vigorous continuation of the war fell on stony ground and he resigned in October 1761. Pitt’s political position over the next few years was difficult. George Grenville had separated from him and his relations with Newcastle and the Rockinghamites were frosty. There were intermittent negotiations: each time an administration was in trouble, Pitt’s name was mentioned as a potential replacement. In 1766, following the collapse of the first Rockingham ministry, Pitt finally agreed to lead an administration but as Lord Privy Seal, rather then First Lord. Poor health, which had been a recurrent feature of his political career, led him to accept a peerage and he became Earl of Chatham. He had hoped to revive Britain’s alliances in northern Europe which he felt had been fatally damaged at the end of the Seven Years War. In this, and in attempts to resolve the American crisis, he was unsuccessful. By October 1768, having failed to achieve his aims, a weary Chatham begged the King to allow him to resign. George III accepted, determined to keep him out of office henceforth. Chatham’s health revived sufficiently for him to act in concert with the Rockinghamites at various points in the 1770s. The Earl of Shelburne slowly emerged as Pitt's chief lieutenant, although Chatham’s instinctive suspicion of political connection meant his personal parliamentary following was small. He died in May 1778 and received a funeral in Westminster Abbey at public expense. His nickname of ‘the great commoner’ reflected a broader truth: his political career before he took his peerage in 1766 was considerably more successful than thereafter. Pitt’s parliamentary abilities meant that he became known as the 'Great Commoner'. His populist instincts meant that he was able to turn the originally sarcastic title into one of endearment. The Commons voted a state funeral for him in 1778, although the Lords refused to attend. Thanks Nick, good spot, we will correct this. I do not think that you have pointed clearly enough to Pitt's role as war minister in the "annus mirabilis" of 1759. A study of the times reveals that he alone had the vision and energy to drive the nation's successes from London during this crucial period. He was, par excellence, a master strategist. This saved the nation and gave birth to the British Empire. He had regularly insulted the king and created innumerable enemies (like Churchill in his relationship to the Tory party) and was only chosen as he could perform the role of national saviour a la Churchill. Thanks for your comment Nicholas. Two things to say in response to this: first, it's always difficult in a short overview of a career to cover all aspects of a subject's life in great detail. Secondly, much of the recent literature on the Seven Years War (Daniel Baugh's Global Seven Years War or Franz Szabo's Seven Years War in Europe being excellent examples) have shown how the British victories in 1759 were the result of a combination of factors (particularly successful mobilisation - it took nearly two years for the fleet to reach full strength). Pitt was important in this process but he was also part of a larger political and strategic machine. His relations with the king improved significantly during the 1750s, prior to his accession to high office. If you can, I'd look at the article in the Oxford Dictionary of the National Biography about Pitt. Otherwise, there are good biographies by Jeremy Black and Marie Peters and there's material on his military reforms in the books I mentioned in the previous post. Can you let me know why the Lords refused to attend Pitts funeral please? The vote in the House of Lords was a tight one - but a small majority voted against attending Pitt's funeral (and only a small number of Lords actually attended). This was a sign that, by 1778, there were already disputes about Pitt's legacy and his political contribution - his days of triumph were long past and his political manoeuvrings in the Lords had met with limited success. It's a useful reminder of the ways in which political reputations change, as the context evolves. Although Pitt had led a successful coalition during the Seven Years War, Britain was now divided about the wisdom of conflict in the American colonies.